Based in San Diego, CA, Solti is the first glass bottled, light filtered and cold crafted organic beverages on the market. They built their brand on the belief that finding natural beverages with ingredients that you can feel good about should be easy. 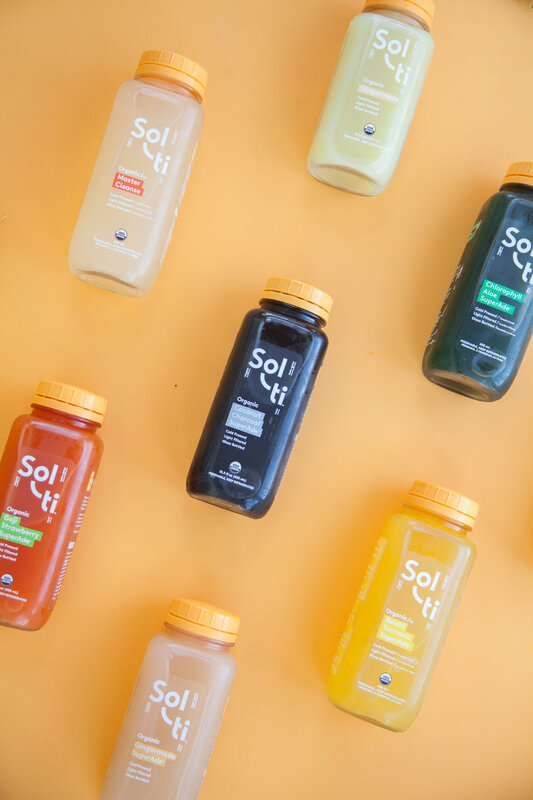 With a foundation in sustainability and a passion for healthy living, Solti is winning the hearts of consumers with their juices, radiating energy, positivity and health. We collaborated with Solti's social media department to create fresh visuals too launch their newest product Gingermade SuperAde and welcome the summer season in San Diego, CA.